Stillman & Birn has been a generous sponsor of Urban Sketchers for years, and is again sponsoring our annual Urban Sketching Symposium. This year they are providing us with a Gamma Series sketchbook with ivory paper. 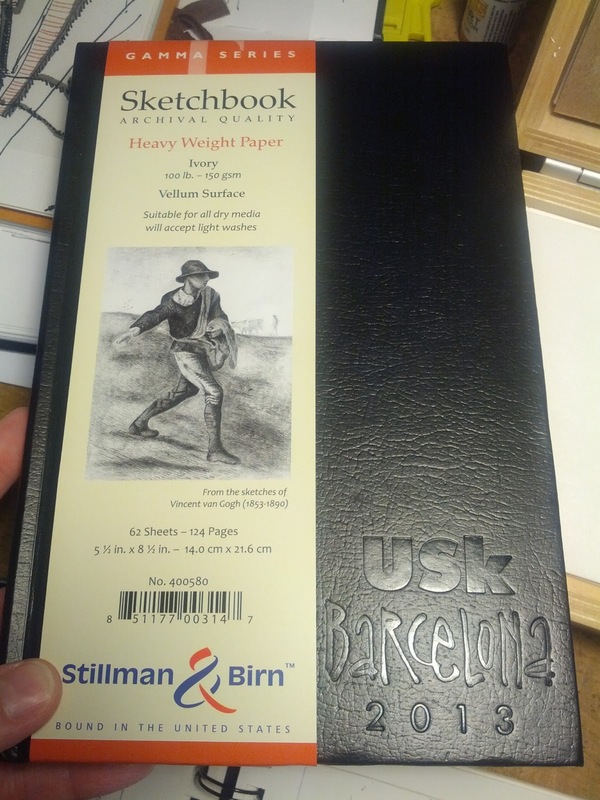 The sketchbook is embossed with the logo for the Barcelona event! Visit Stillman & Birn on Facebook and on Twitter @stillmanandbirn! A sharp looking journal! Thanks Stillman & Birn! The logo looks beautifull in the sketchbook. Congratulations.